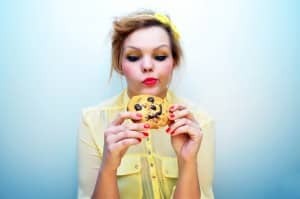 Scientists have discovered a hormone, residing in the liver, that is responsible for controlling your sugar cravings. Go science! The hormone has the delightful name of FGF21 or fibroblast growth factor 21 and sends signals to the brain to suppress hankerings for the sweet stuff. Research has shown that administering this hormone (to monkeys and mice) has the effect of stopping a desire for anything sugary. In fact, the animals responded by reducing their intake of sugar by an impressive 7 fold. Essentially this hormone tells your body when you’ve had enough sugar and don’t need any more. We’ve known for a while that hormones have control over appetite but FGF21 is specifically safeguarding our appetite for sugar. The new findings have caused scientists to consider the possibility of creating a drug that mimics the hormone’s effect on the body – thereby assisting the diabetic and obese in regaining their health. But what should you take away from this latest research? Well, it’s going to be a long time before that drug is created and comes to market. Not only that, but it’s my belief that for most women there is an easier, simpler and more healthful way of curing your sugar cravings and it’s something you can start on today. If you want this liver-based hormone FGF21 to work for you and suppress those sugar cravings then you need to develop excellent liver function. A humming liver is going to support the work of FGF21 and naturally increase your ability to satisfy your sugar gremlins with just a healthy couple of dates or some honey in your tea. No more being overwhelmed to binge on cookies! To get to this place you need to be using food on the daily to control your blood sugar levels so that your liver can function at its best. You know, it’s actually totally normal to have some sugar cravings. Glucose is your brain’s only source of fuel so you actually need a form of the sweet stuff to keep the cogs turning. However, at the root of all hormonal imbalance issues you will find poorly regulated blood sugar. Most women I meet through Flo Living are experiencing the dramatic peaks and troughs of blood sugar mismanagement. Solving this issue is the starting point for living in your Flo. Blood sugar mismanagement means the sugar gremlins become sugar bullies and push you to seek out too much sweet stuff to keep your energy levels high and prevent crashing out. The liver and pancreas function to regulate our blood sugar levels and eliminate excess hormones and toxins. I’ve been preaching this for years. Therefore – smooth, controlled blood sugar stasis allows your liver to complete its other necessary duties, including processing excess estrogen so that you can avoid one of the main causes of many hormonal balance issues and other female diseases – estrogen dominance. If your liver and pancreas are too busy figuring out your blood sugar issues, then they won’t ever be able to concentrate their efforts on getting rid of all of the synthetic estrogens we absorb every day in the form of plastics, cleaners, beauty products and more, which lead to health problems like endometriosis, PCOS, acne, cramps, infertility, and PMS. Improving your blood sugar stasis and liver function will support the amazing FGF21 hormone in doing its important work. The key to curing your sugar cravings is food. Let food be thy medicine here. You don’t need to wait for the FGF21-inspired drug (with who-knows-what side effects…) You can use food to make more of this hormone today and fix your burning desire for the sweet stuff. Eat the Right Sugar on Purpose. Even if you have stabilized blood sugar, you’re going to crave sweetness at some time or another. Not all sugars are created equal, but in the end anything that tastes sweet will have an impact on your blood sugar. You need to get smart about how you satisfy your sugar gremlins and not let them become bad-for-you sugar bullies. I have several go-to recipes for sweet treats that I turn to when I’m feeling the need. As a rule, honey and coconut nectar are my two favorite sweeteners, as, for me, they have the lowest impact on my blood sugar levels. Time Your Breakfast Right. You need to eat breakfast within 90 minutes of waking up. Choose a good-size, protein rich breakfast with eggs and smoked salmon. Research has shown a big breakfast prevents hormonal imbalance issues like PCOS and infertility, as well as protecting you from developing type-2 diabetes. Supersize your lunch. Your biggest meal of the day should be lunch. Incorporate a complex carb like black beans, a source of good fat like avocado and sunflower seeds and a generous helping of glutathione-heavy vegetables like carrots, broccoli, spinach or asparagus, drizzled with olive oil. Glutathione is an antioxidant that detoxifies the liver. Make a Liver Lover Smoothie. Detoxing your liver doesn’t involve deprivation, in fact I want you to add a delicious smoothie to your weekly meal plan. Cilantro contains a property called linalool that helps to cleanse the liver. I have perfected a smoothie recipe that brings in cilantro plus glutathione heavy mango and apple. Blend: ½ cup mango, ½ a green apple, 1/2 cup frozen pineapple, 1/2 cup coconut water and 1 cup of cilantro. Avoid Hidden Sugar. There are many hidden sugars that you might be missing, especially when it comes to picking out any packaged or supposed “health foods.” New dietary guidelines encourage limiting sugar intake of any kind to just 10% of your daily calories. Although I don’t agree with all of the new recommendations, I believe they’re spot-on with this one, but we need to be even more careful than that. 200 calories from sugar per day is a lot – more than one 12 ounce can of soda. We really should be avoiding white sugar completely. Be aware of where sugars hide – it can be in unexpected places, like fruit-based smoothies that don’t incorporate the fruits’ fibre, which are often as bad for you sugar-wise as eating a brownie! The sugar industry has given the white stuff a lot of new names to try and baffle us into consuming more than we should. Check out the documentary Fed Up, it’s a real eye-opener. First, do you struggle with sugar cravings – what’s your go to? Second, do you notice your cravings get worse at a particular point in your cycle? i just love your blog…..! question to you… what part of our cycles / time of the month is best t do a little extra liver detox love? thanks! I love doing them during menstrual or follicular phases! I have been following your post for a while and have enjoy them, thank you for the work you do.I have found that taking chromium has greatly reduced my sugar cravings as well as taking magnesium or eating magnesium rich food before my period. I would like to thank you for creating such a helpful and informative website. I am currently detoxing my liver and I am happy that I have this website to help me along this journey. This hits home! I am currently less than a week in to implementing the guidelines in your book and already feel like a new person! 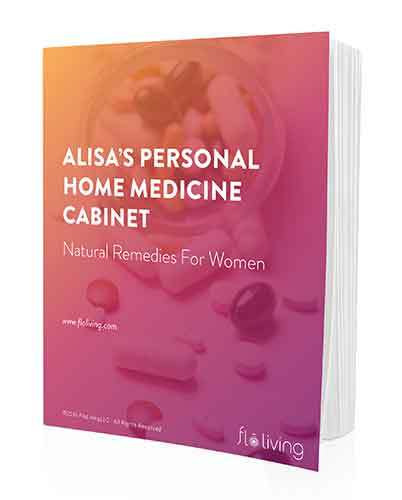 I have started quality multivitamins and thyroid supplements along with loads of top-notch probiotic supplements and lots of natural probiotic rich foods. I have followed the meal guidelines in the book and started implementing the dietary restrictions and suggestions as well. I feel AMAZING compared to the constantly toxic hangover I have had since my youngest son was born 5 and a half years ago! Anytime I feel lousy I am going to something healthy instead of coffee or sugar. It is great! Just the taste of salad dressing or an oreo cookie makes me want to throw up now! I am not i deprivation but I am making smarter choices. I think the key to success is DECIDING that you are going go on and make a change with your habits, if you don’t resolve within yourself you cannot succeed. Once you have your mind set that something will work and you are absolutely making better changes then nothing can stop you! I am SO thrilled you are here! Congratulations on all of the positive changes you are making and feeling!!! My question: is there a specific cycle phase that is more appropriate to eat a sweet treat? The luteal phase is when it makes sense to up your healthy carbs like grains (cooked in a pot) and sweet root veggies. Carb needs go up during this phase and this is usually when sugar cravings rise. Sugar should still be kept low as it will increase cravings and imbalance blood sugar.